Here is another recipe from Nobu! The cod is seared and then it is slather on with Nobu-style Saikyo Miso which gives a nice fragrant to the dish. 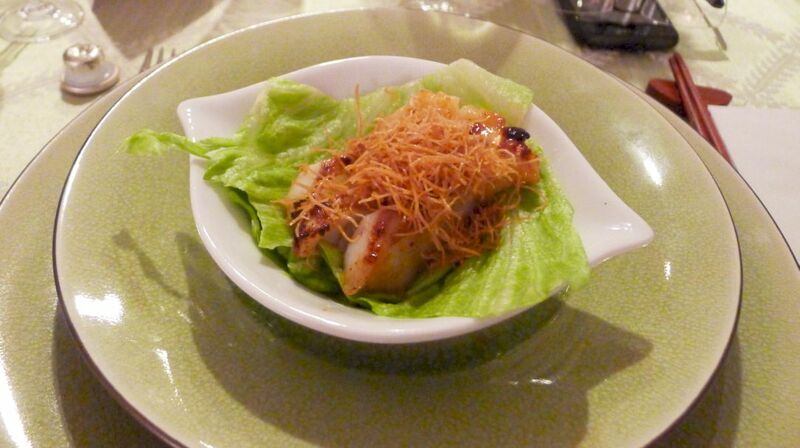 The seared cod is serve on a bed of butter lettuce leaf so that guests can grab the lettuce and eat it with their hands. 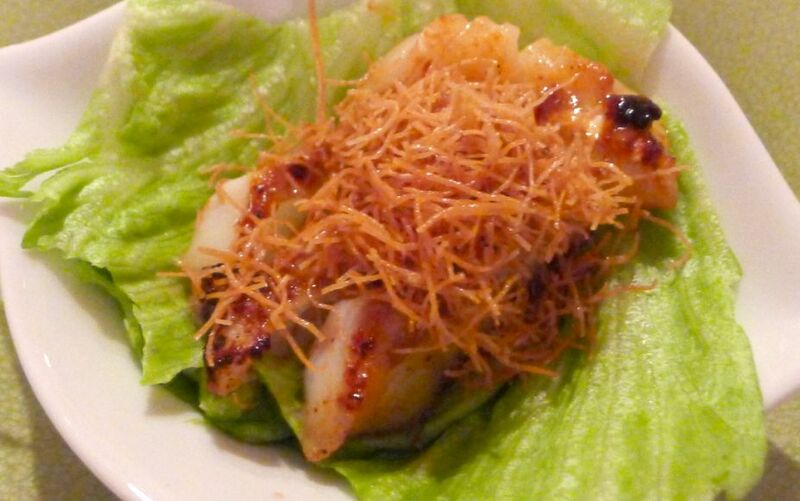 The flavors of the cod slather in miso is pretty intense but wrapping it in lettuce makes it a light, healthy, and prefect bite size finger food which is simply great to serve at parties! 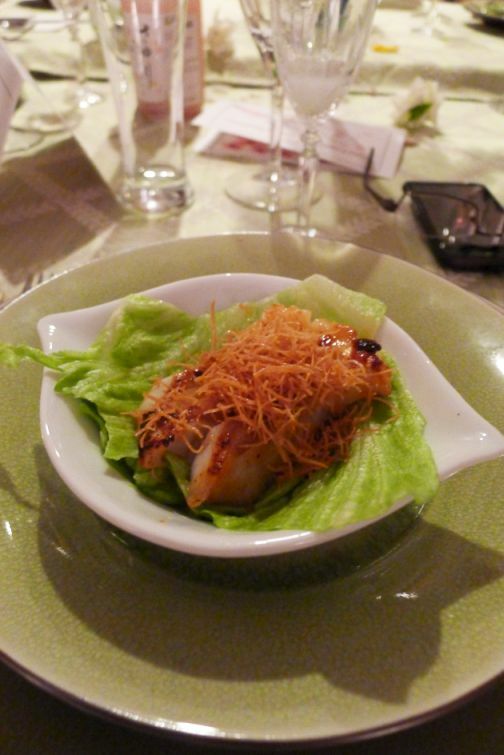 I also enjoy the crispiness of the fried Kataifi (Shredded phyllo dough) against the rich and flavorful seared cod. This dish is also very easy to make but make sure that your cod is fresh! The color of the dish is also very vibrant and appealing! 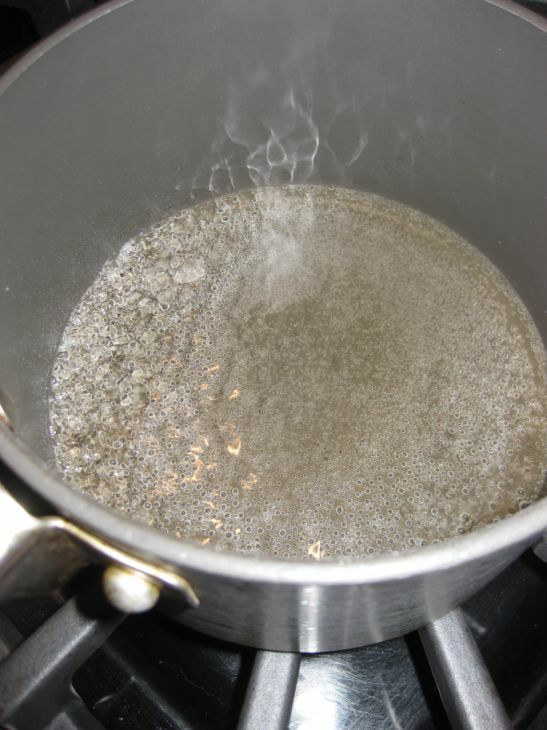 In a medium saucepan bring the sake and mirin to a boil over high heat to evaporate the alcohol. Turn the heat to low and add the miso. 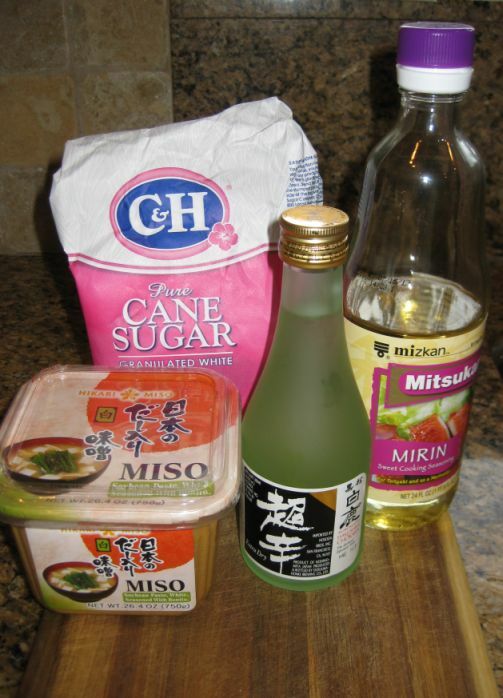 Mix it with a wooden spoon until the miso has dissolved completely. 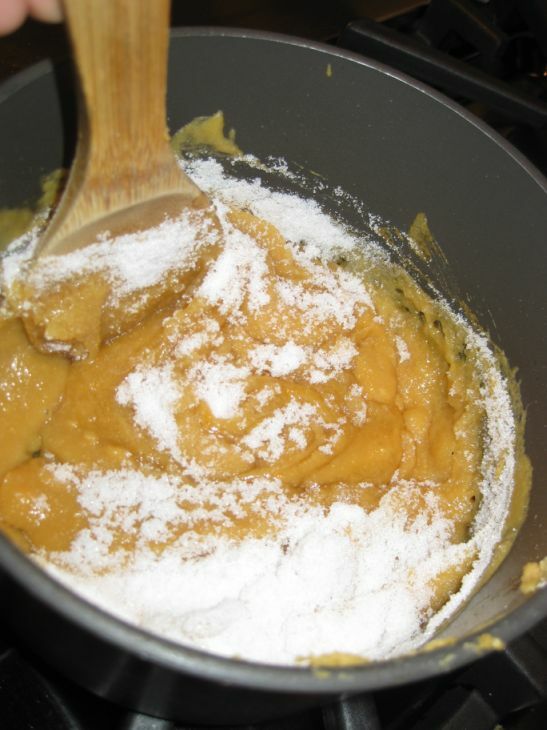 Add the sugar, stirring constantly with a wooden spoon. 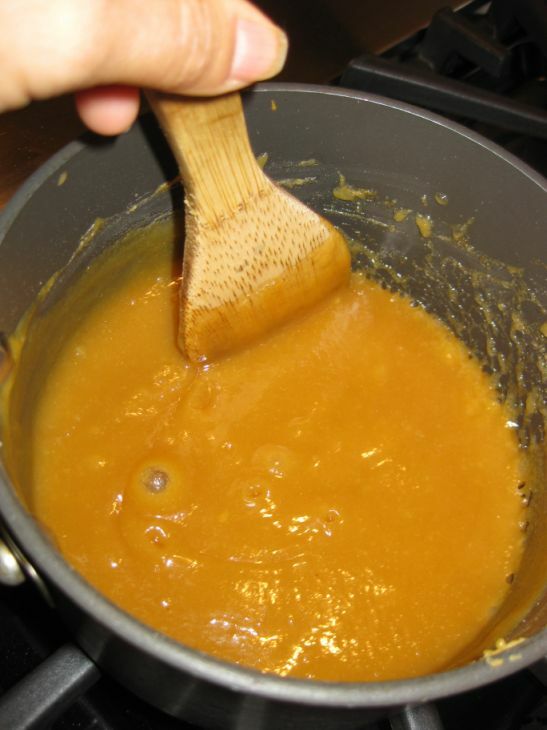 Stir constantly to prevent from scorching. 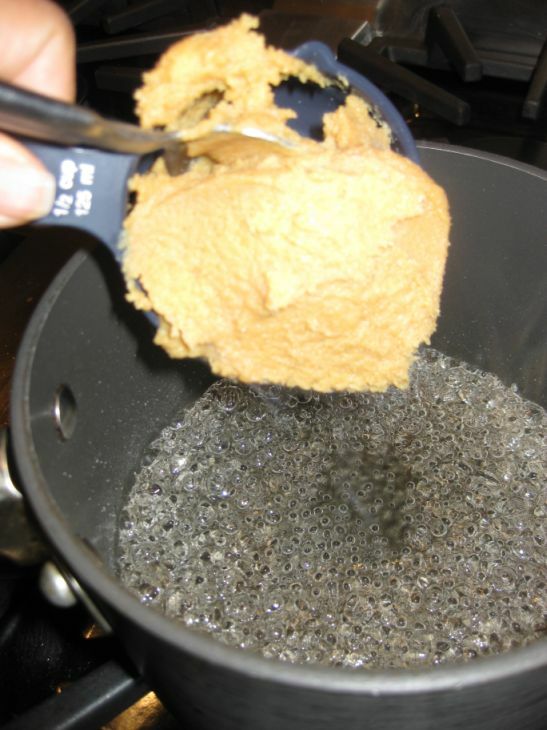 When the sugar has dissolved completely and the mixture becomes a smooth paste. Remove from heat and cool to room temperature. 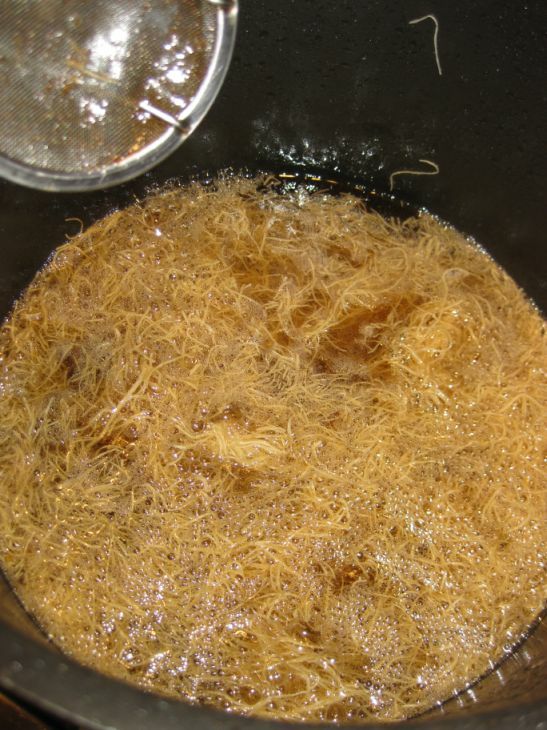 Fried the Kataifi. They turn brown very quickly so keep a close watch. 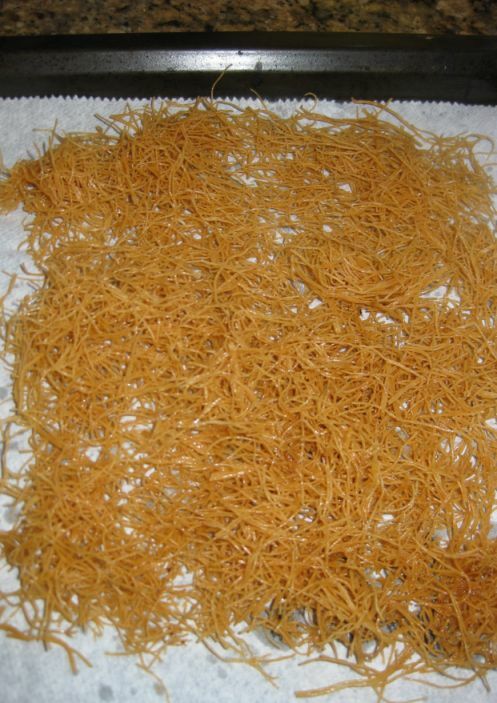 Drain the fried Kataifi on a pan lined with paper towel. Let it cool down and set aside. 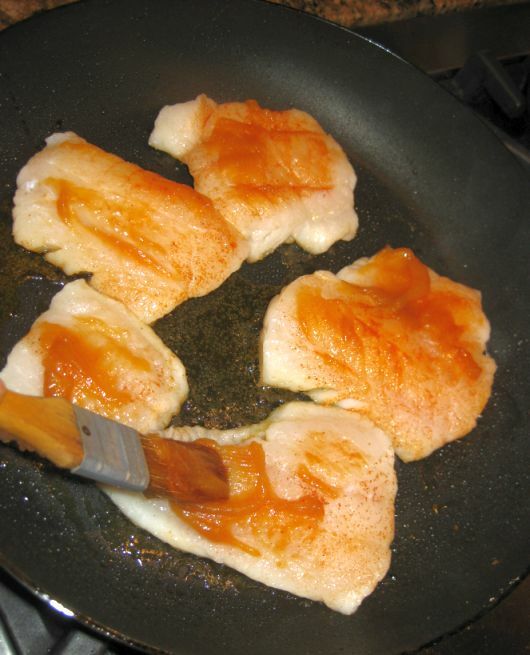 Heat a hot oiled large pan until hot and drop your cod in the pan. Don't move your cod around, let in sear for a few minutes until the bottom is brown. Brush generously the top of your cod with the miso mixture. 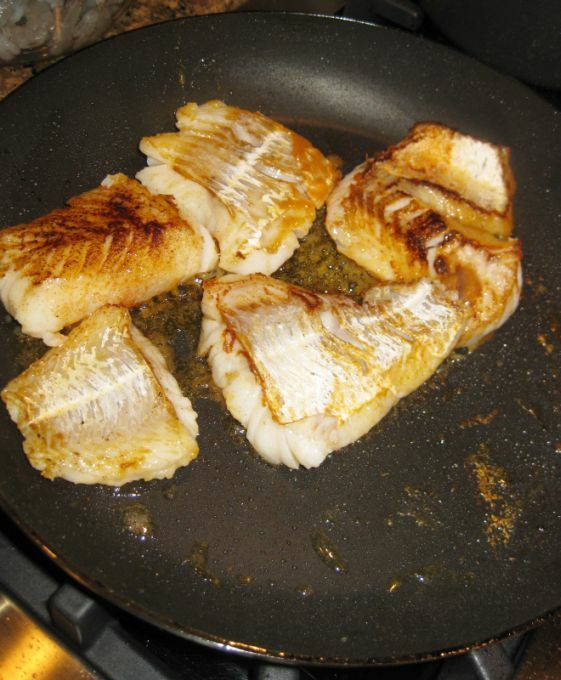 Turn the cod over and brush the browned cod with the miso mixture. 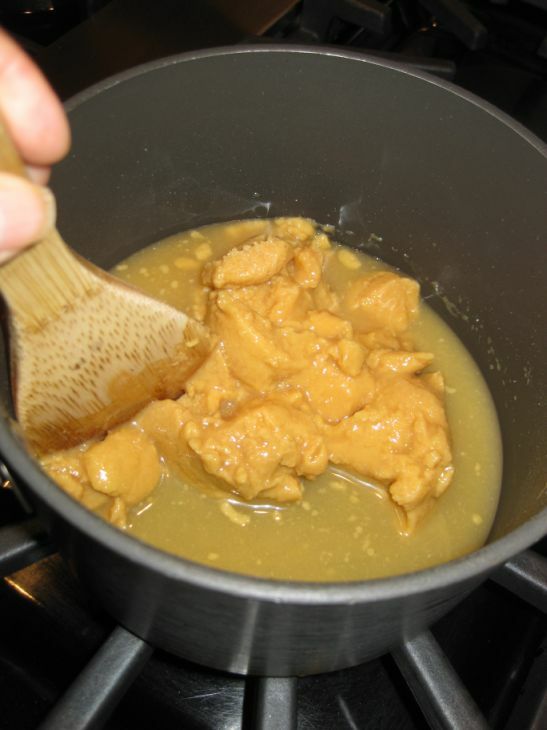 Turn it over 1 more time so let the miso mixture change color and it is ready to be served. 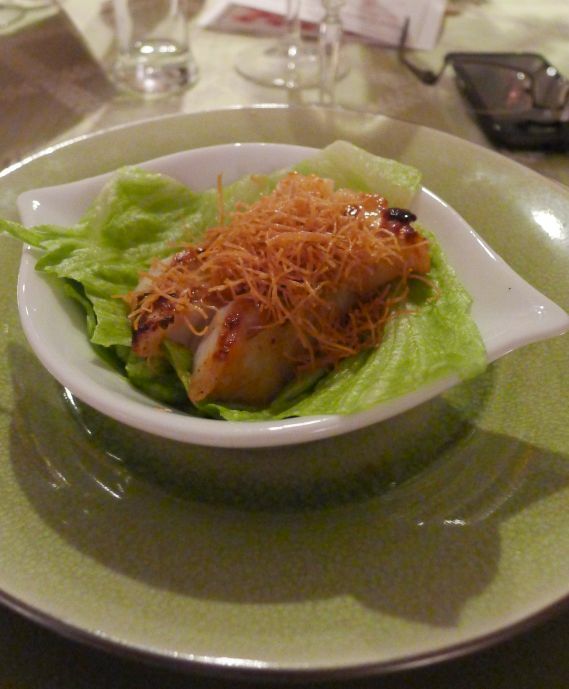 Put the cod on top of a lettuce leaf and top it with the fried Kataifi.